This best-selling ombré blush is your blush and highlighter in one, and gives your skin a naturally pretty flush of color in just one sweep! Developed with plastic surgeons and infused with proprietary Drops of Light Technology™, the talc-free powder formula transforms from matte to radiant, letting you customize your results for the perfect combination of brightening color and soft luminosity. While long-lasting, color-correcting pigments keep your skin tone flawlessly even all day, anti-aging peptides, antioxidants, silk and hydrolyzed collagen bring your most beautiful complexion to life! Available in three universally flattering shades, this buildable blush blends effortlessly onto bare skin or over makeup to give you a natural-looking, youthful pop of color that lasts. 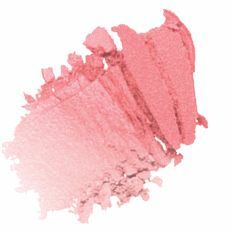 Ombré Radiance Blush™ is rated 4.4 out of 5 by 58. Rated 5 out of 5 by Kimmy 1969 from Love this blush I purchased this as well as a lot of other It products. I needed to replace a lot of old out dated makeup. I don't wear make up everyday and I'm not exactly a pro at applying it. I see other women's makeup look like a make up artist did it. So one night I figured I'd give it a try just playing around with it a bit. With the make up tips you give and reading reviews and the questions &answers and the use of your wonderful brushes it is easier and my make up does look better. This blush is wonderful and so easy to apply especially with the brush and looks great with a foundation on or plain skin too. Thank you It cosmetics ! Rated 3 out of 5 by Budds from It's ok Well..am a senior ...truth is I should have returned it ..thk better for younger skin..it's very pretty but .as we get older blushers thst have shine not our friend..will use the part no glitter.. Rated 1 out of 5 by kathy29 from Color looks coral I have been buying IT cosmetics since Jamie started the line. I am 64 years old and people are shocked when they here my age. I had very good genes. I do love Jamie's products and was looking forward to trying the Ombre Je Ne Sais Quoi blush. Well, there is no ombre...it is all one color but most upsetting it is a coral color and I can't wear that shade so back it goes. I have to pay for the return shipping. I have learned my lesson and will never order from your sight again. Is this a sign of things to come since the company has been sold?